Children should not start formal school lessons until the age of six or seven, a group of educationalists has said. In a letter to the Daily Telegraph, they said early schooling was causing “profound damage” to children. They are calling for more emphasis in the curriculum on learning through play. England’s Education Minister Elizabeth Truss said starting school later would damage attempts to close the achievement gap between rich and poor. The signatories to the letter, including academics, teachers and some writers and charities, said the current system focused too much on formal education, such as the “three Rs”, at too early an age. They said national policies should be reassessed to make them more similar to education systems in Scandinavia. The letter said children who entered school at six or seven “consistently achieve better educational results as well as higher levels of well-being”. It was signed by 127 experts including Lord Layard, director of the Well-Being Programme at the London School of Economics; senior lecturer in psychology of education at Cambridge University Dr David Whitebread, and director of Play England Catherine Prisk. Another of the signatories, former Children’s Commissioner for England Sir Al Aynsley-Green, said: “If you look at a country like Finland children don’t start formal, full-scale education until they are seven. The letter was sent by the campaign group, Save Childhood Movement, which has launched a campaign called Too Much, Too Soon. 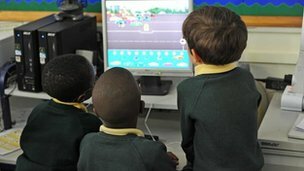 Group founding director Wendy Ellyatt said: “Despite the fact that 90% of countries in the world prioritise social and emotional learning and start formal schooling at six or seven, in England we seem grimly determined to cling on to the erroneous belief that starting sooner means better results later. Currently most children in England go to nursery at the age of three or four before starting school in the September following their fourth birthday and spend a year in reception class. Legally all children in England have to be in full-time education by the term after their fifth birthday. Education Minister Elizabeth Truss rejected calls for formal schooling to start later in England, saying this would damage the life chances of children from poorer homes. “I think the campaign is wrong-headed,” she told The World at One on BBC Radio Four. Earlier, a source close to Education Secretary Michael Gove had told the Telegraph the authors of the letter were “misguided”. “These people represent the powerful and badly misguided lobby who are responsible for the devaluation of exams and the culture of low expectations in state schools,” he said. Earlier this week, Northern Ireland Education Minister John O’Dowd indicated he was willing to introduce new rules to allow flexibility on the school starting age. Researchers said Northern Ireland had the lowest statutory school entry age in Europe, at four. In England, the government is consulting on whether to bring in what it calls a “simple baseline check” at the start of reception, from which children’s progress could be measured for league table and Ofsted inspection purposes. It would also show parents what progress their children made in the early years of primary school, it says. At the moment, children are assessed by their reception class teachers at some point in the year but the results are not used formally in accountability measures such as league tables. The progress children make at primary school is currently measured formally from the results of national (Sats) tests in English and maths taken by children at the age of six or seven and their teachers’ assessment of their abilities. Government officials say a move to an earlier “baseline check” is just one option they are consulting on. Five- and six-year-olds also have a phonics check on their reading abilities at the end of Year 1.